Making dogs tails waggle is second nature at Good Boy pawsley & co. We produce really exciting, yummy treats to keep your dog happy as well as entertained. 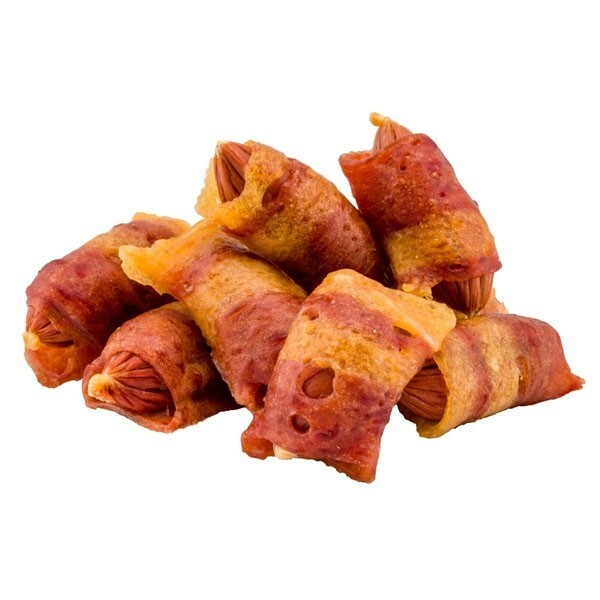 These Succulent Pigs in Blankets are made with super duper tasty 100% natural meat so are sure to become one of your dog's favourite treats. 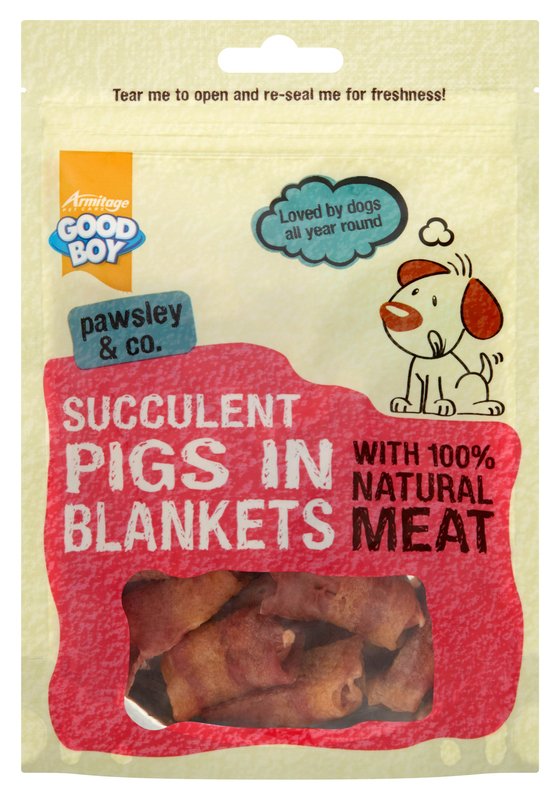 Lovingly packed in a handy, re-sealable bag, as well as being lip smackingly tasty they are full of natural goodness too as they are; Made with 100% natural human grade meat. Wheat free, ideal for sensitive tummies. A tasty three meat feast. Delicately roasted to perfection to preserve the real meat flavour.